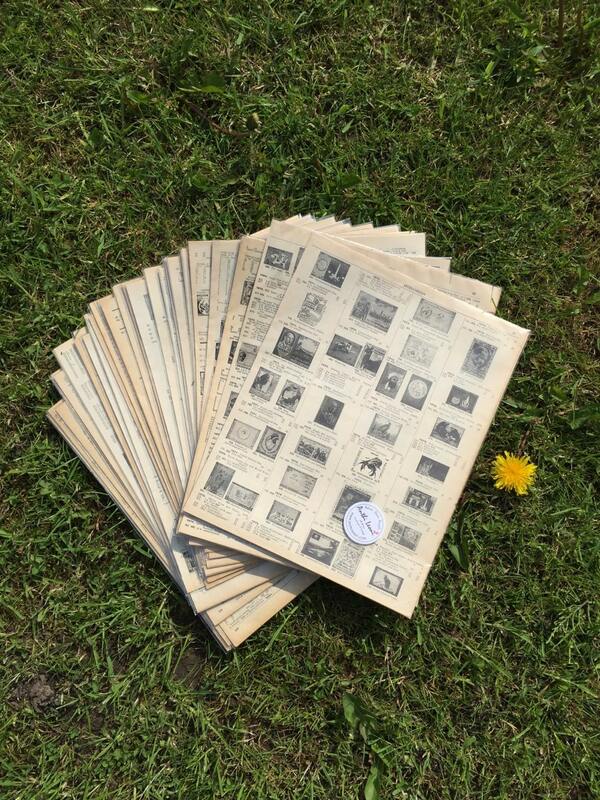 DESCRIPTION: A Vintage paper pack for crafting containing 20 x sheets (approx A4 size) of old vintage stamp collector book pages depicting listings and images of old stamps of the world packed in a cellophane reseal bag with my label to make a pretty gift pack. 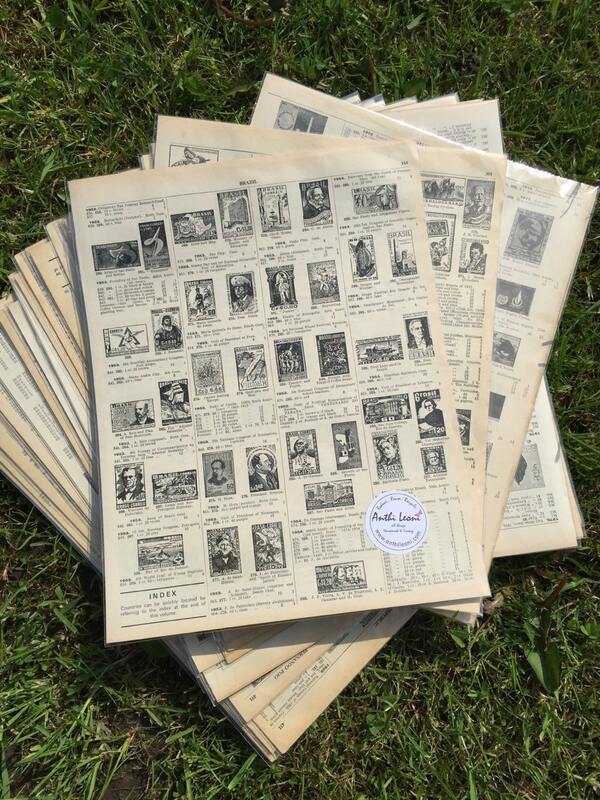 Vintage stamp collectors books cataloque their listings by country in alphabetical order and then chronologically so each wonderful gift pack is like a lucky dip bag as you never know what little treat you'll get inside! No two packs are the same and the pages are taken from old salvaged books that I have rescued along my travels. 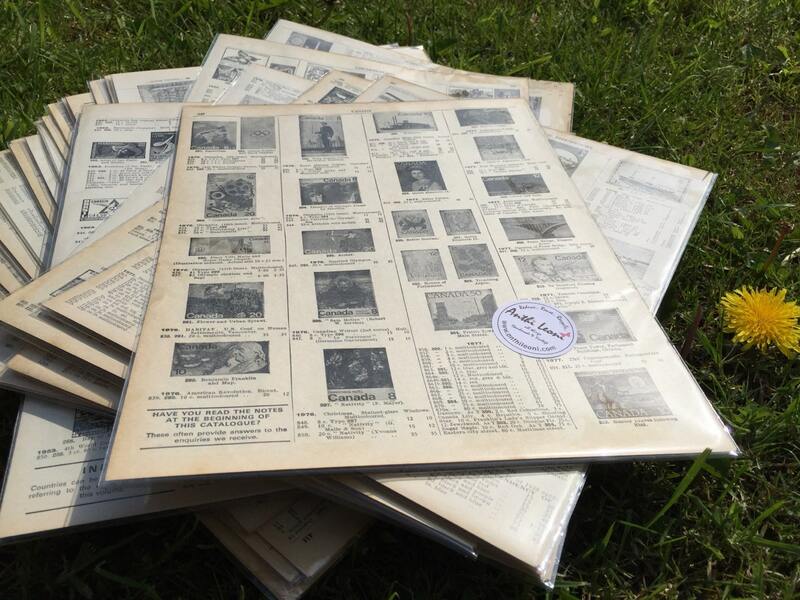 Pages may contain aged yellowing, tiny creasing, staining and some may have small tearing however, this all adds to the rustic charm of the pages. You just can't replicate the patina of old. 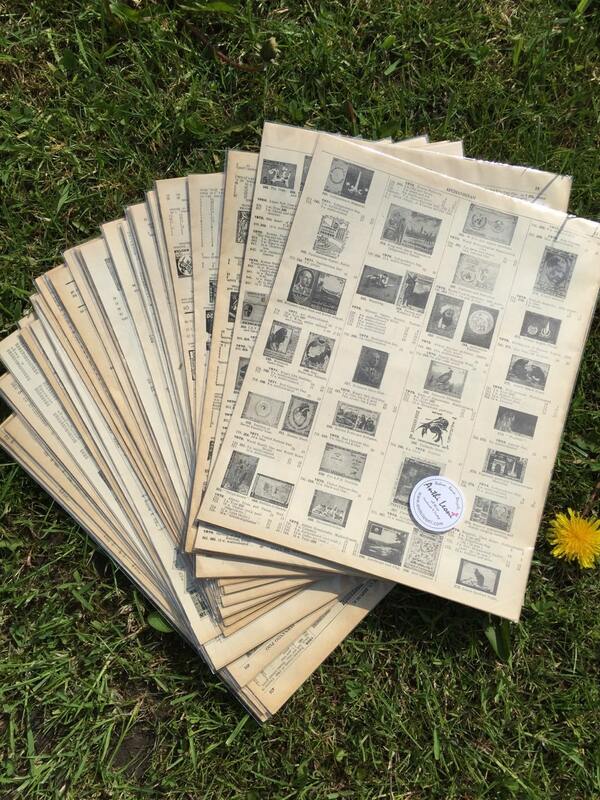 If you love to paper craft or decoupage then this is the ideal gift for you. Use for scrap-booking, decoupaging, decorating furniture, wedding or table decorations, confetti, card making the list is endless. No need to go hunting around as I've already done all the preparation and presented these pages in a pretty little pack. 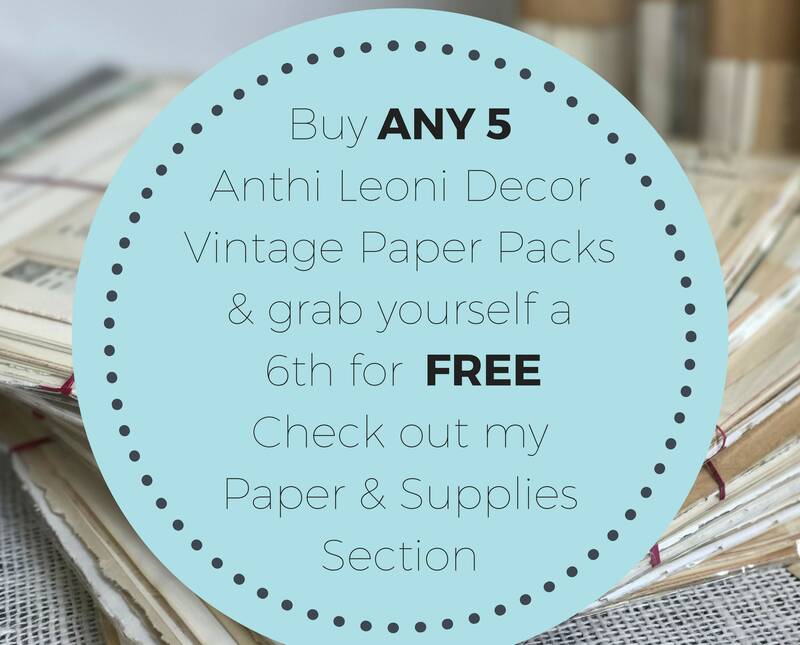 Would make a lovely birthday present or Christmas gift for any lover of vintage or paper crafting. 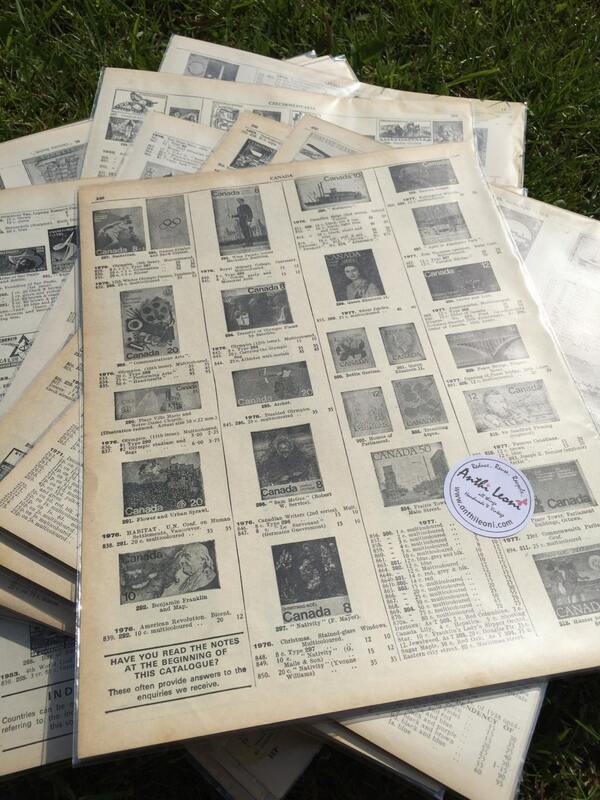 + Each pack contains approx 20 pages. Great pages. Brilliant for paper craft. Quick delivery.